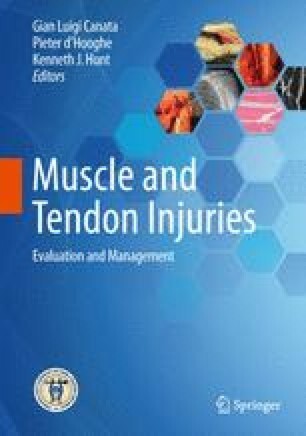 Muscle injuries are frequent in athletes and their optimal management and rehabilitation strategies are still debated in literature. Most muscle injuries are managed conservatively with good results, while surgery is reserved only for larger tears. The diagnosis is usually clinical and imaging tools are used to identify the extent and site of lesion for relevant prognostic predictive factors. The new classification of muscle injures is proposed based on anatomy, biomechanics, and imaging features. They can be classified as direct (contusion and laceration) and indirect (divided into 4 different types). A early diagnosis associated with an optimal management of the lesions is the best choice to return to the pre-injuries activity level: this is the purpose of the new classification of muscle lesions reported.